This is “Grandma” and Keith Nelson. 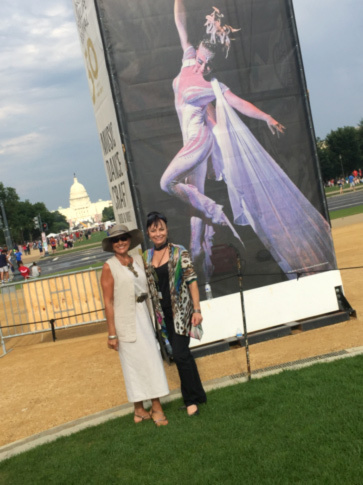 As you can see they are proud to be on the National Mall. 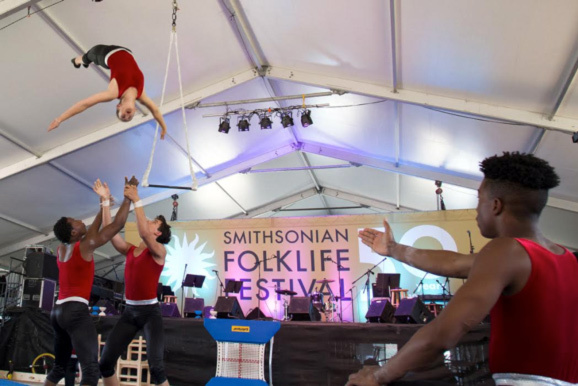 Here are several more wonderful events that took place at the festival. 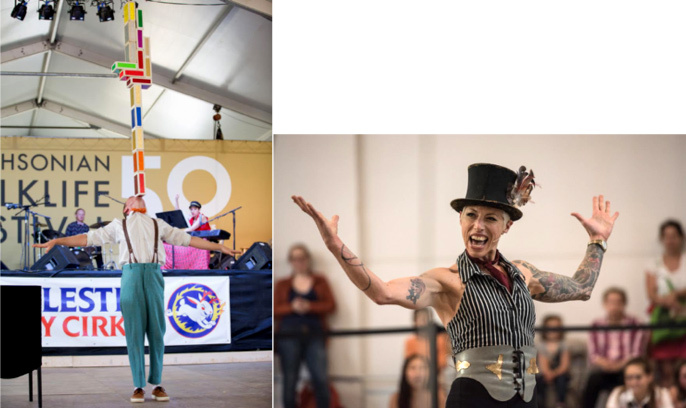 Circus Harmony, from St. Louis, who I wrote a little bit about in my recent post on Circus Flora. They are a very successful inner-city youth troupe. 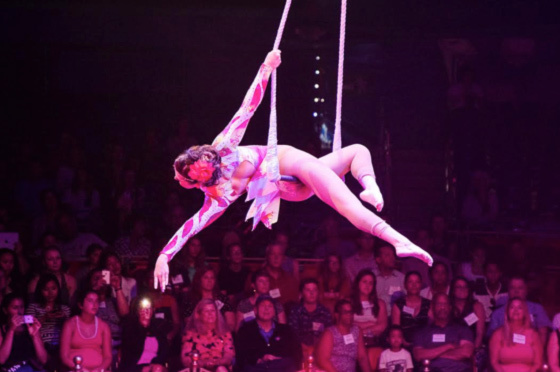 Eliana Grace is the daughter of Jessica Hentoff, founder of Circus Harmony and has a wonderful one-woman show. Here’s the only photograph that I have from the festival. Unfortunately, she is moving into a trick so she doesn’t look nearly as graceful as she, in fact, is. 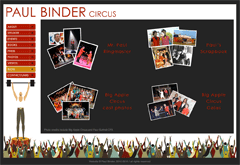 Here are a couple of photographs from Bindlestiff Family Cirkus, one of my favorites. And a new favorite: Happenstance Theater. They are very clever, fresh and simply lovely. Here’s one grouping of the show they did at the festival. They have several more shows. 3. 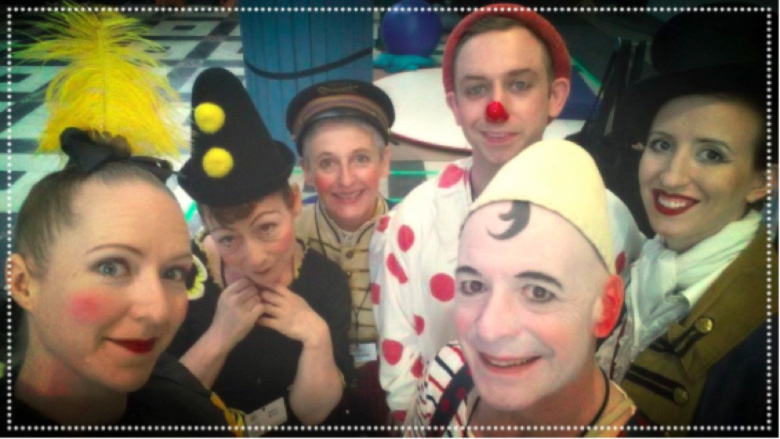 My long-time performance partner Michael Christensen, founder of Big Apple Circus Clown Care, which became a worldwide movement of clowns visiting the bedsides of acutely and chronically ill children, sat on several presentations at the festival about medical clowning. Big Apple Circus Clown Care logo created by Dominique Jando. That’s Michael as “Dr. Stubs” creating a bubble through a stethoscope. 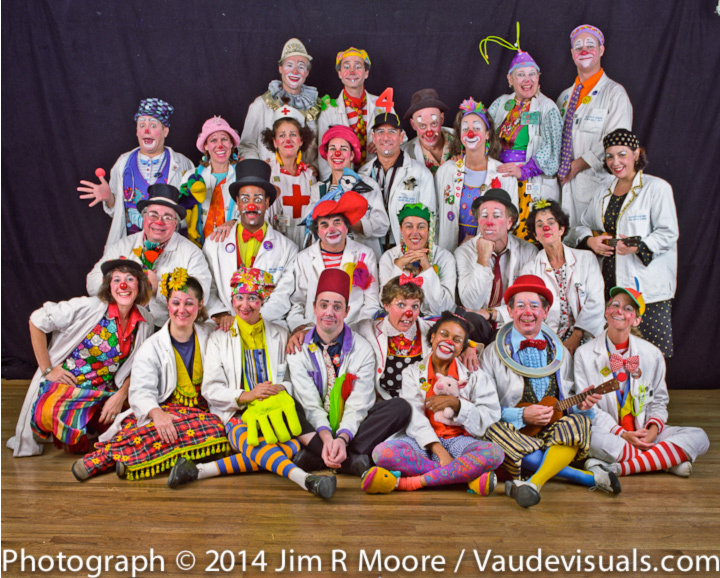 Here’s a wonderful group of New York Clown Care “Doctors of Delight.” They are some of the most dedicated people I’ve ever known. 4. 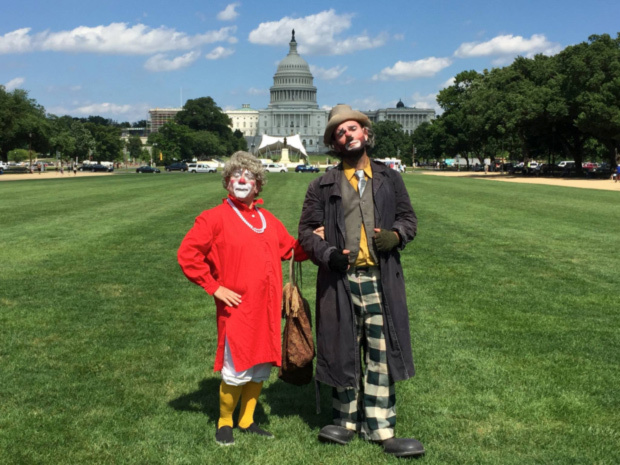 Finally, I sat on one of seven panels and three presentations at a day-long “Circus Town Hall” at the National Endowment for the Arts concerning circus as art. It was an extraordinary day. On the left is Tisha Tinsman and on the right is Dolly Jacobs. The photograph that they are standing alongside is of Dolly in performance. 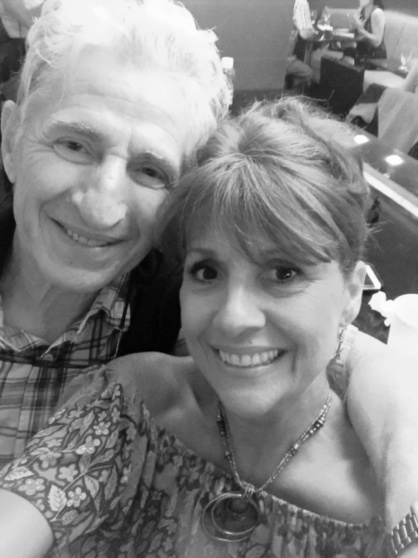 Tisha Tinsman with Sacha Pavlatta, our first tent master, virtuoso performer, and original company member. Here’s a wonderful group at the NEA. 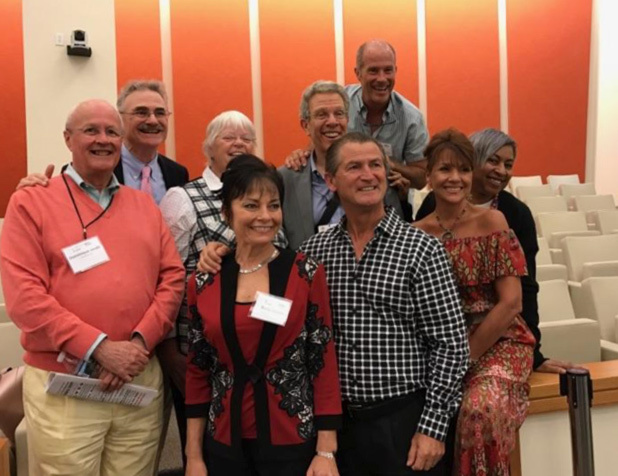 Left to right: Dominique Jando, Murray Horwitz, Peggy Williams, Dolly Jacobs, myself, Pedro Reis, Jimmy Tinsman, Tisha Tinsman, and Vanessa Thomas. 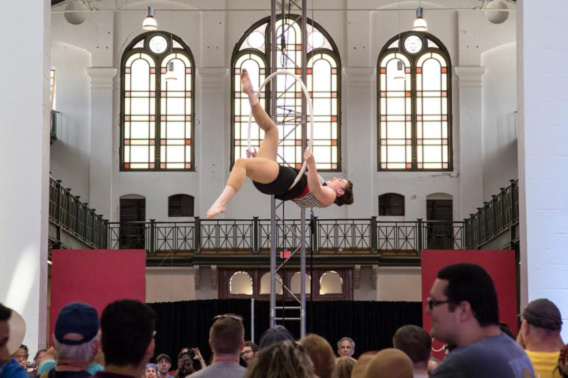 This wonderful convocation or “Town Hall” at the NEA was a highlight of this festival and was a great demonstration of the passion of the various people who are engaged in circus arts in America. I’m hoping that we can continue this amazing event going into the future.